“Let no man despise thy youth: but be thou an example of the faithful in word, in conversation, in charity, in faith, in chastity” (1 Tim. 4:12). This one verse neatly summarizes several of the themes highlighted at the recent “Fatima for the Next Generation” Conference (Sept. 14-16) hosted by The Fatima Center in Grand Island, NY. The conference, designed specifically for teens and young adults, drew over 100 young people from around the United States and Canada. 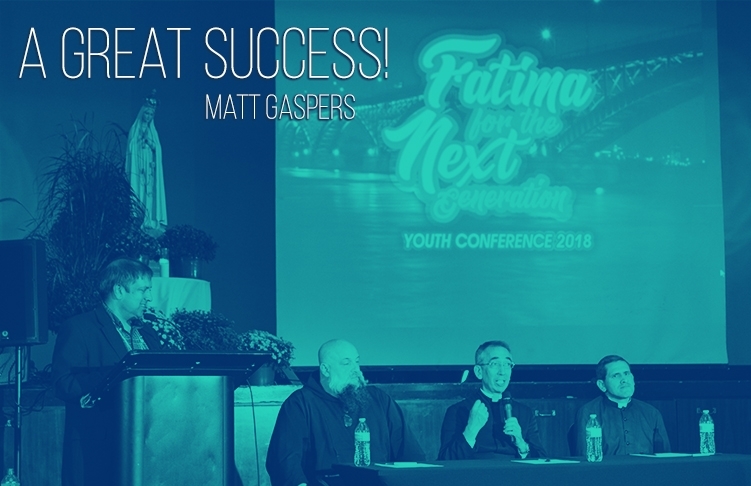 Amidst their diverse backgrounds, professional ambitions, and personal interests, all attendees shared a common goal: to grow in knowledge and love of the holy Catholic Faith through the Message of Fatima. “In the madness of the modern world,” read the official conference pamphlet, “those who want to live the truths of the Catholic Faith often turn to the past, but we must also look to the future.” Thus, conference organizers were tasked with presenting the Faith of all time in a manner that addresses the challenges young people face today. From what I saw and heard, “Fatima for the Next Generation” fulfilled its mission with great success. The excellent lectures, appealing visual aesthetics, reverent liturgies, and joyful camaraderie provided a myriad of opportunities for encountering Our Lord, Who, as St. Augustine once said, is “Beauty, ever ancient, ever new” (Confessions, Book X, Ch. 27). In the Gospel, Our Lord gives the example of “a man…who bringeth forth out of his treasure new things and old” (Matt. 13:52). The impressive line-up of speakers reminded me of this parable, comprised as it was of both familiar favorites and new faces. Fr. Isaac Mary Relyea and Fr. Michael Rodriguez, both regular speakers at Fatima Center events, delivered powerful talks and sermons and gave generously of their time to souls seeking Confession and counsel. Fr. Daniel Couture, SSPX and Fr. Shannon Collins, MSJB did likewise, making their debut as Fatima Center speakers, along with Brother André Marie Villarubia. Topics covered by these men of God included the Holy Shroud of Turin (a truly miraculous relic), vocational discernment, purity of heart and conduct, how to live in the world while not being of it, the Church’s need for youthful zeal, and the vital importance of Our Lady’s Fatima Message. Representing the laity were traditional Catholic professionals whose areas of expertise ranged from music and business to apologetics, education, and journalism. Dr. Andrew Childs, a college professor and favorite at Catholic Family News conferences, spoke about the importance of embracing true culture rooted in the transcendentals (truth, beauty, and goodness), which thus fosters virtue. Dr. Childs highlighted, for example, the profound effect (for good or for ill) that music has on our souls, utilizing audio clips and endearing humor to demonstrate his point. Accountant and Catholic apologist Matthew Plese of CatechismClass.com gave a spirited and well-sourced talk explaining the nature of apologetics (defending/proving the Faith), stressing that our efforts to convert souls to the one true Church must be rooted in charity, not simply a desire to win arguments. In addition to Revelation (Scripture and Tradition), Mr. Plese emphasized the importance of utilizing reason and miracles to bring souls to faith. He recommended daily prayer and study, creativity, boldness, and living a holy life as essential tools for every apologist. While Fr. Isaac drilled the young men on the absolute need for chastity and how to break sinful habits, Julianne Hartman, a mezzo-soprano soloist and music director, addressed the young ladies on the importance of modesty in dress and behavior, the virtue often called the guardian of chastity. Conference attendees also heard from John-Henry Westen, co-founder and editor-in-chief of LifeSiteNews.com, a Catholic outlet truly on the front lines of the battle raging in the Church and the world. Throughout his talk, which traced the scandalous history of the current pontificate, Mr. Westen consistently referred back to Fatima, asking rhetorically, “Where is the period of peace? Where is the conversion of Russia?” He ultimately called for the consecration of Russia to Our Lady’s Immaculate Heart as the means of conquering Russia’s “errors,” which have now infested even the Church. With the sure-to-be-disastrous youth synod looming on the horizon, “Fatima for the Next Generation” was truly a beacon of hope in these profoundly dark and discouraging times. Let us hope and pray that the young people who attended the conference will be filled with zeal for the souls of their peers and becoming missionaries in their respective spheres of influence! 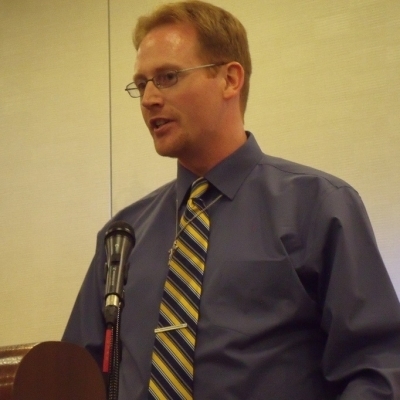 Matt Gaspers is the Managing Editor of Catholic Family News. He was asked by John Vennari (1958-2017), longtime Editor of CFN and stalwart defender of the Faith, to carry on CFN’s important work shortly before Mr. Vennari’s passing. In addition to writing for CFN, Mr. Gaspers has also been published by The Fatima Crusader, The Remnant, OnePeterFive, and LifeSiteNews. His study and writing interests include theology, Church history, Fatima, Islam, and the spiritual life. He has also spoken at conferences hosted by Catholic Family News and The Fatima Center. He and his wife, together with their children, reside in Colorado.